Even the most minor criminal charges can haunt you forever. You need an attorney who knows that you are innocent and will fight for your rights. Don’t let criminal charges control the rest of your life. We can help. Since 2006, the attorneys of Razumich & Delamater, P.C., have helped thousands of people, just like you, defend their freedom against accusations made by the Prosecution. Located in downtown Indianapolis, the reputation of Razumich & Delamater, P.C., is strong enough that their attorneys have represented innocent people across the entire State of Indiana. 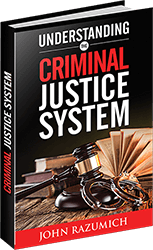 The modern legal system is a complex web of rules and procedures, and you need to have proper representation standing beside you when you’ve been accused of a criminal offense. Our attorneys have handled all types of criminal defenses, ranging from juvenile offenses involving alcohol all the way to defending people accused of murder. Experience matters when choosing your legal representation. We understand the shock and fear that a person accused of a crime feels. We even understand that you may feel like nothing can be done to help you. Nothing could be further from the truth. Speaking with the attorneys at Razumich & Delamater, P.C., is an investment in your freedom and your future. Let your problems become our problems, and we will make sure that you are treated fairly and not left confused about your future. Put our experience to work helping you, and you can rest easier knowing that you made the right decision for yourself and your loved ones. We treat every person that speaks with us with respect and courtesy. Our professional staff will make sure that you are treated with dignity and that all of your questions are fully answered before you leave our office. That’s our promise to you. We look forward to the opportunity to help you. Having a strong representation will minimize the impact of the case on your life. Therefore do not hesitate to get legal help when it is essential. Understand your rights. We will guide you through the dark to a bright tomorrow.